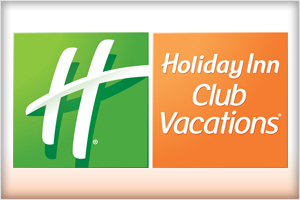 Holiday Inn Club Vacations® at Ascutney Mountain Resort is a charming slopeside retreat in the beautiful countryside of Brownsville, Vermont. A convenient drive from anywhere in New England, it’s an ideal home base for exploring all the fun and educational opportunities nearby. Children and adults alike will enjoy the tasty tours, samples and interactive information found within a short drive of the resort, including Billings Farm & Museum and Sugarbush Farm, Montshire Museum of Science, Sustainable Farmer and Simon Pearce Glassblowers. Of course, Vermont is known for its outdoor activities, and guests can explore everything from Ascutney Mountain State Park to Quechee Gorge, with helpful information and guidance from providers like Great River Outfitters. But it’s not all about exploring the attractions of the surrounding area. The resort offers spacious one-, two- and three-bedroom villas with fully equipped kitchens, separate living and dining areas and fireplaces. They’re perfect for enjoying a family meal or conversation. And fun, relaxing resort amenities make everyone feel welcome, from an indoor and outdoor pool to hiking trails and sports courts. The Alpine Theater plays family-friendly movies every night with free popcorn. Guests can stay sharp board games, puzzles and books and stay connected with free wireless internet access. Learn, explore and get hands-on experience in Vermont. To save up to 20% at Holiday Inn Club Vacations at Ascutney Mountain Resort with a special homeschooler discount, book online or call (866) 591-0448 and mention code IEHHW.